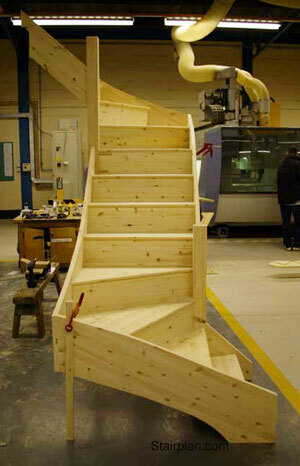 staircase there are tapered treads these are also known as kite winders. 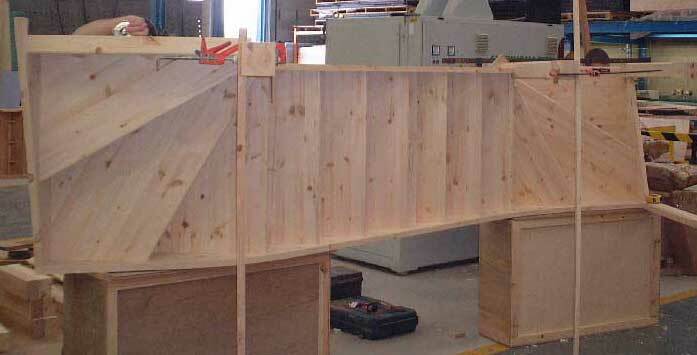 with space being a premium in most new properties. 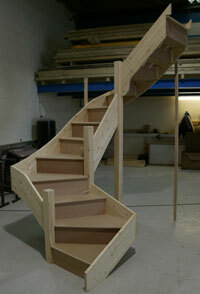 Winder staircases are also the most popular choice of staircases in loft conversions. 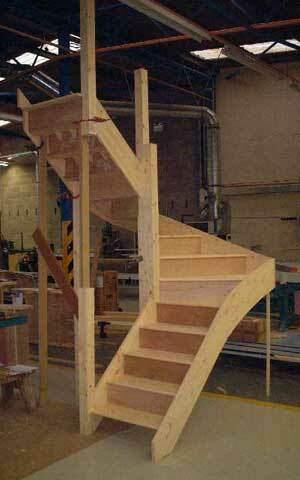 This staircase on the right is a double winder staircase (it has 2 turns). 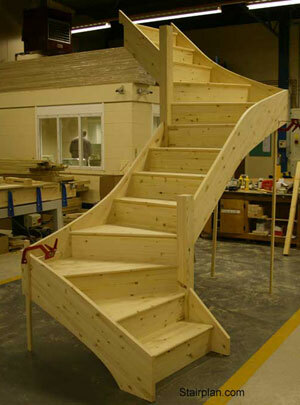 a staircase that has been made from our standard range of materials. 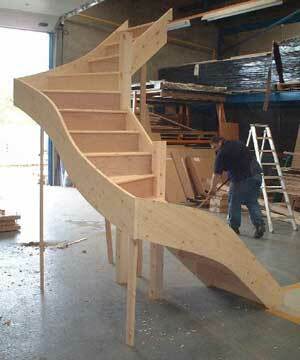 This staircase is for installation between walls. 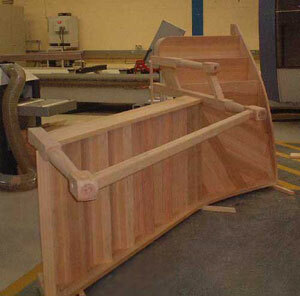 together with the balustrading parts from our pine stairparts range. 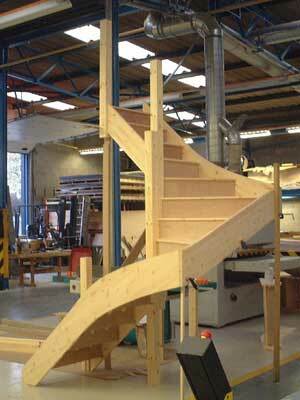 th top ready for landing handrails. 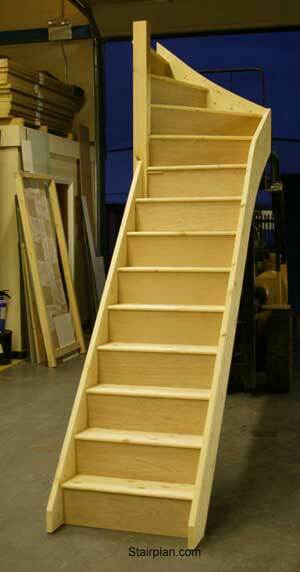 This staircase was later flat-packed for delivery to Ireland. 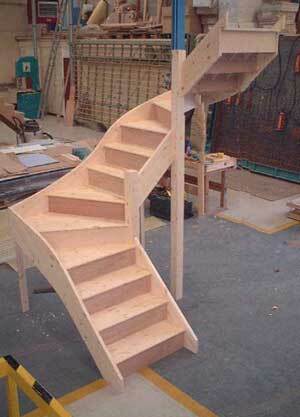 that shows is in Oak. 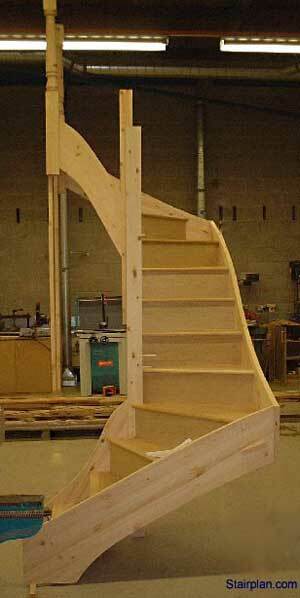 Newel Posts - Oak Turned. 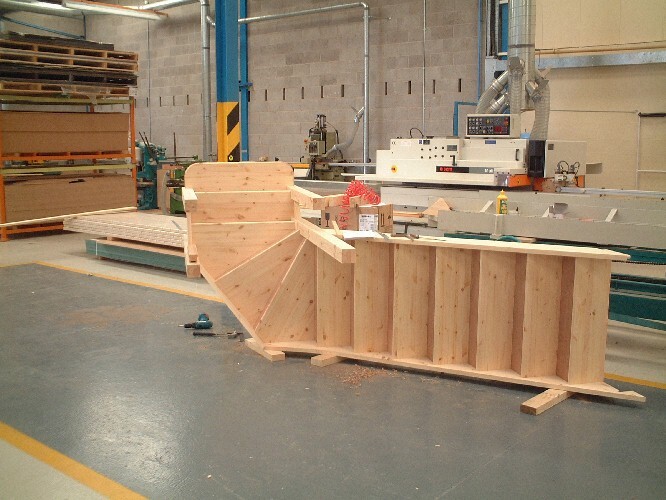 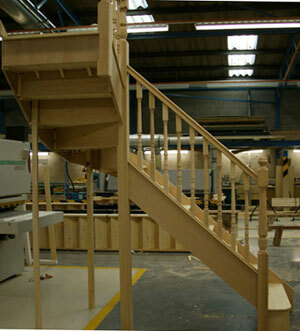 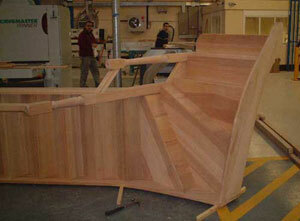 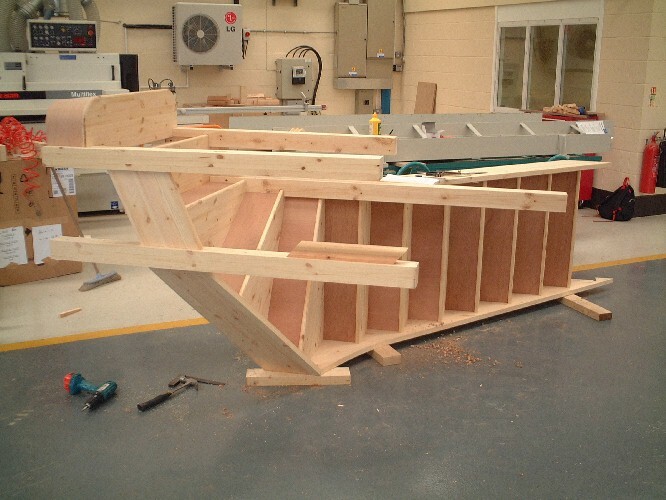 Our staircases are all pre-assembled and checked in the workshop. 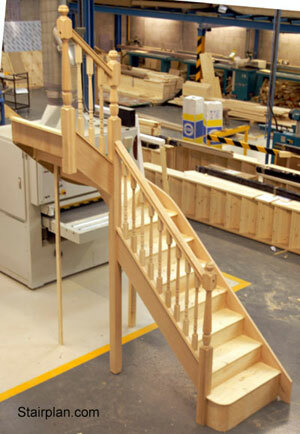 We have a range of standard width winder staircases available to order online at discount on our Online Store use this link to access the store section - Winder Staircases.